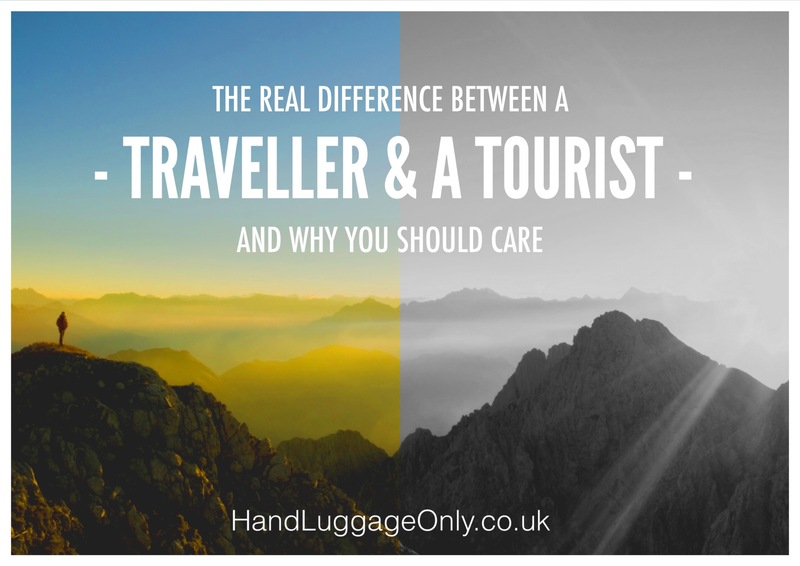 And this isn’t some sensationalist title I’m making up either. 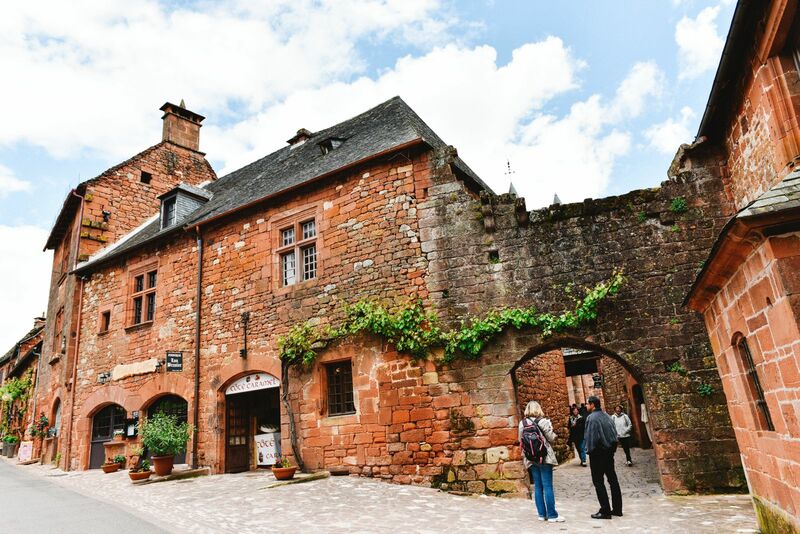 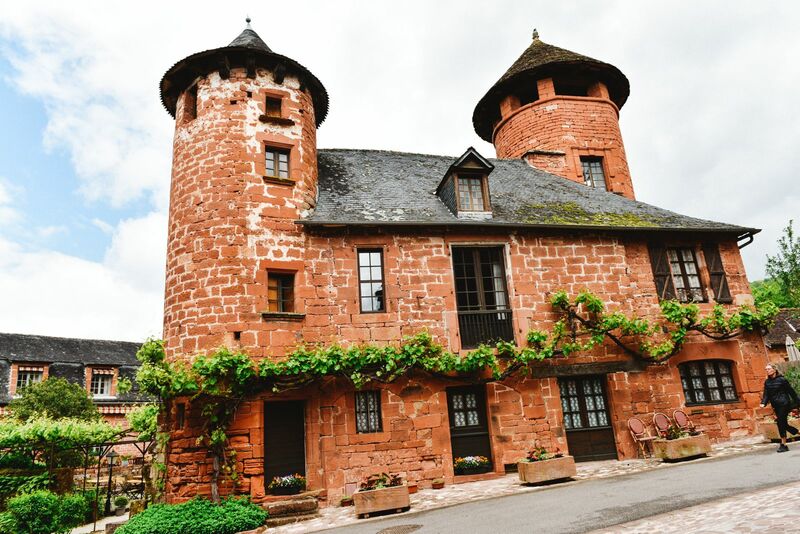 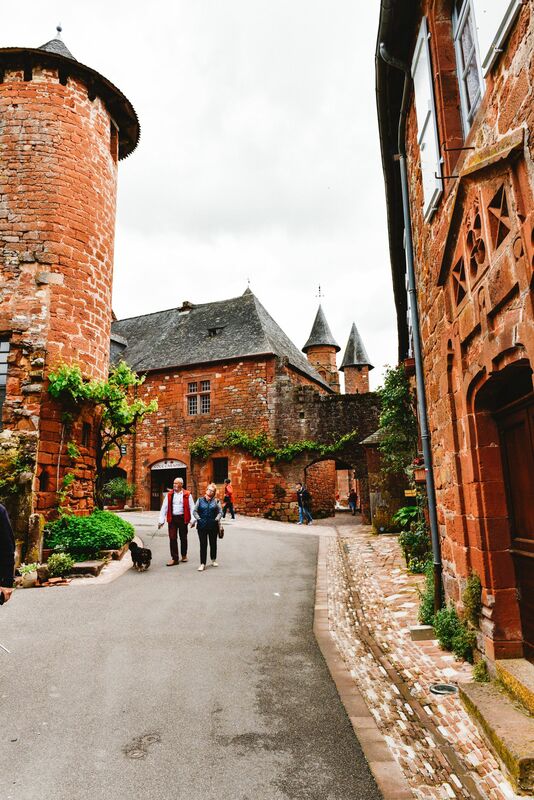 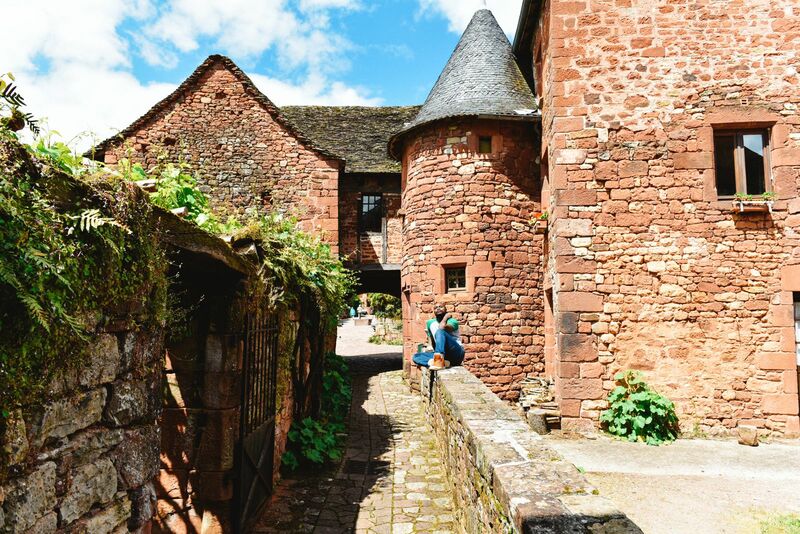 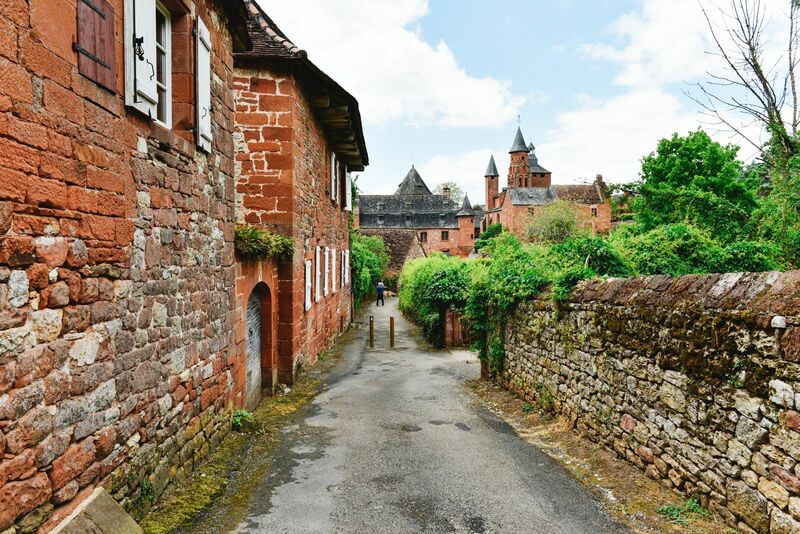 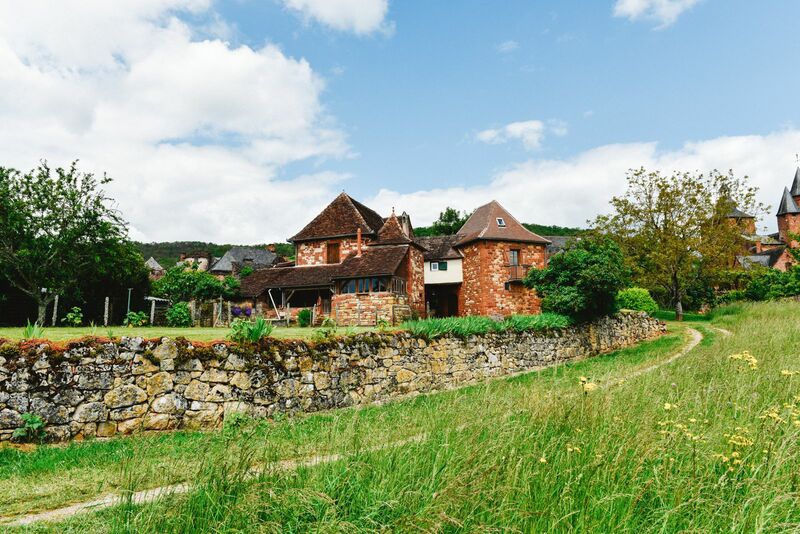 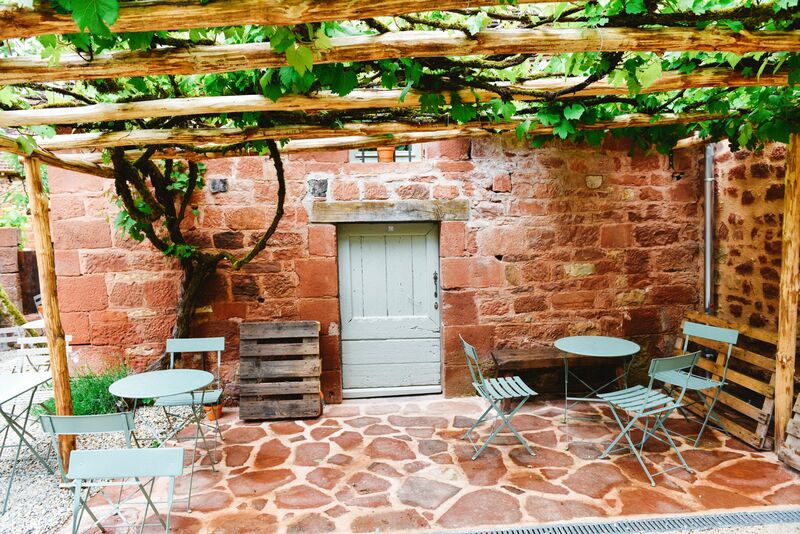 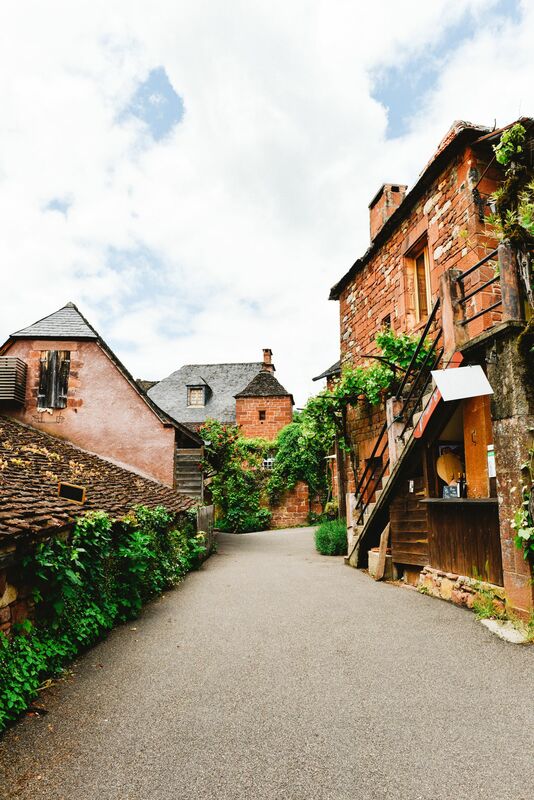 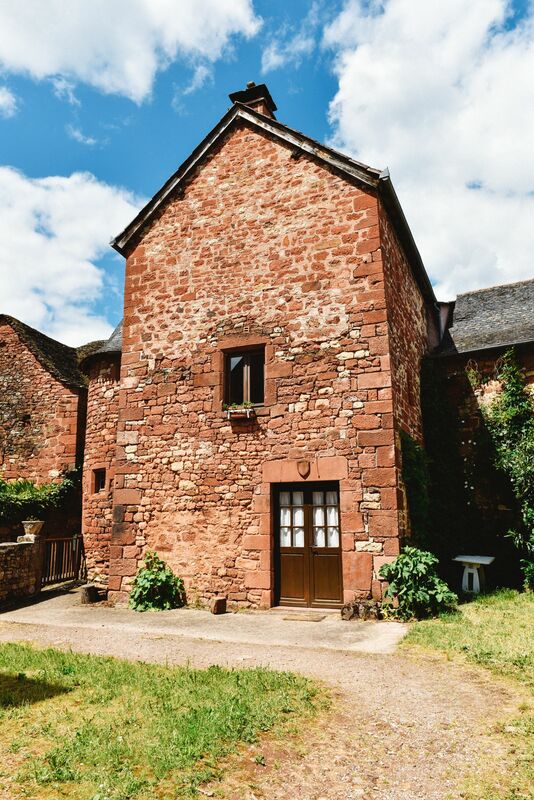 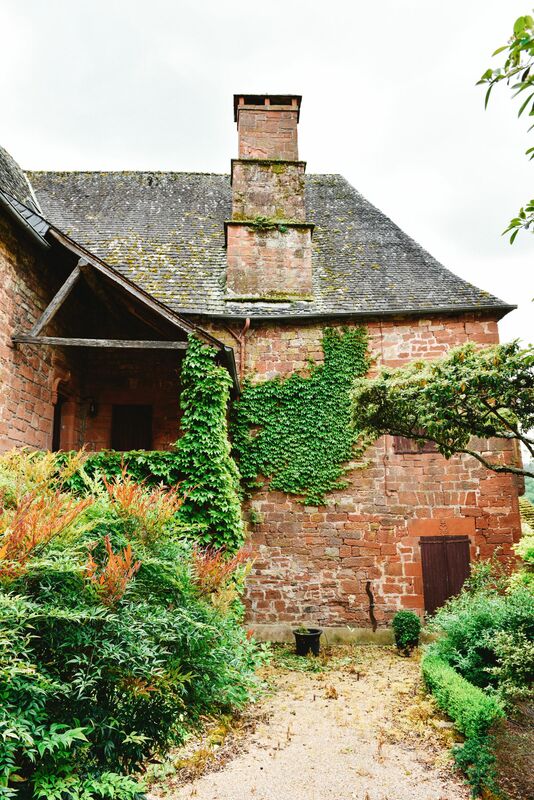 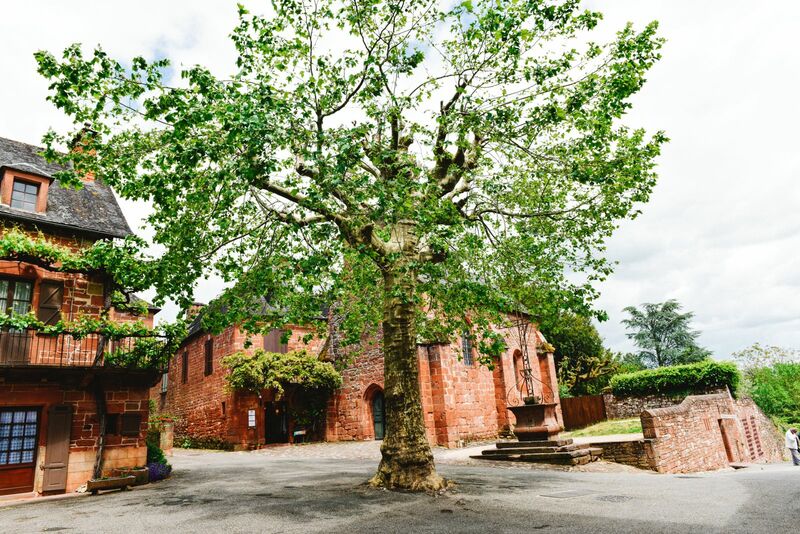 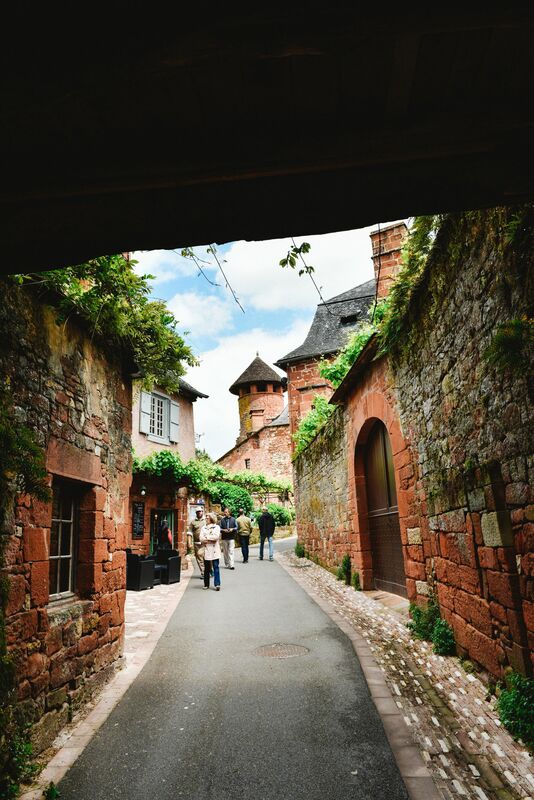 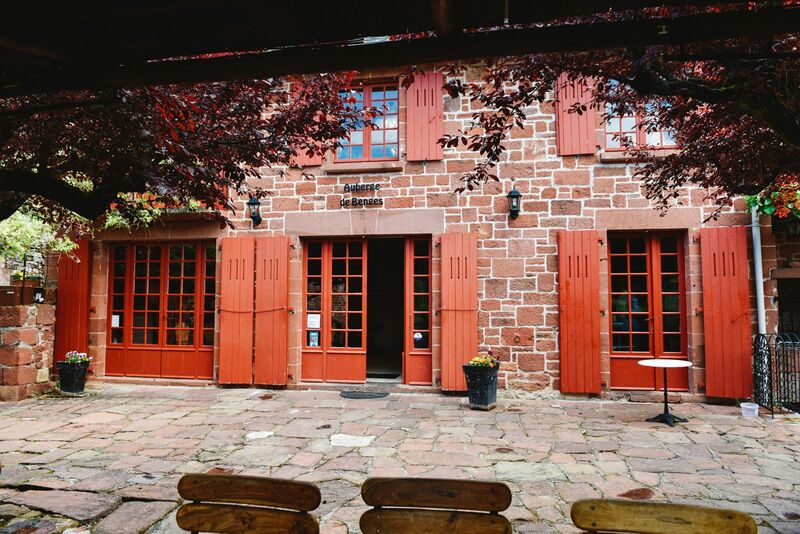 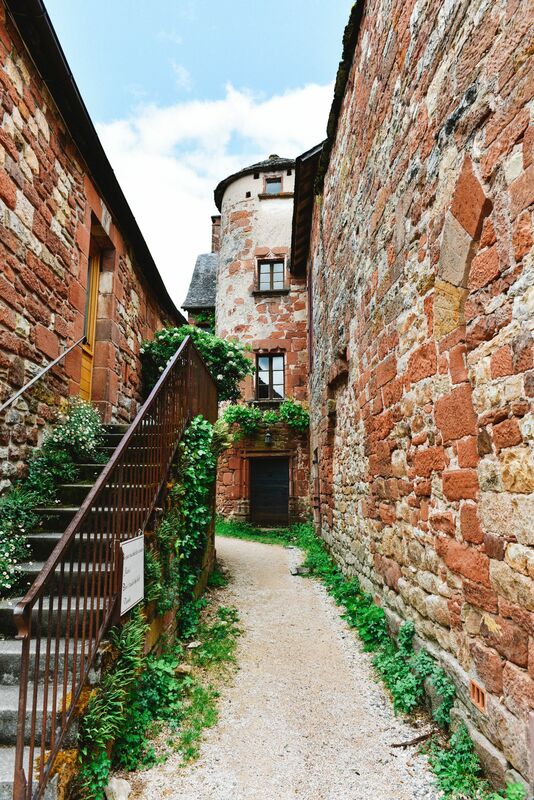 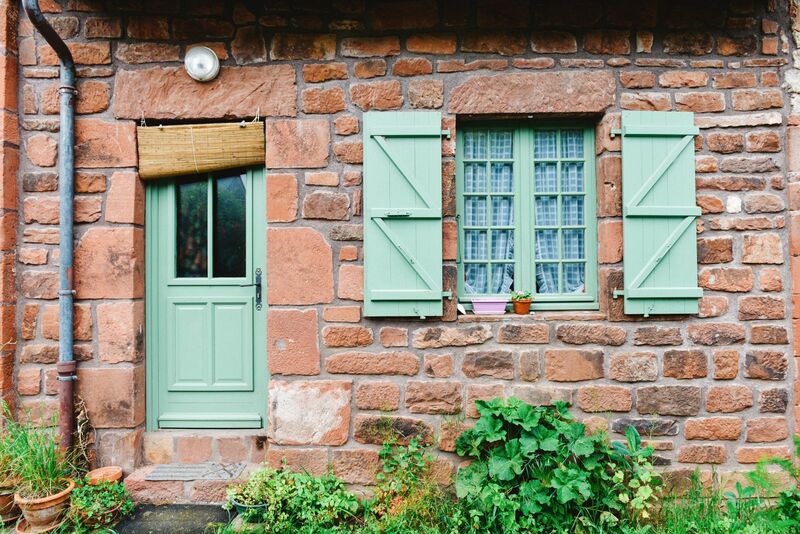 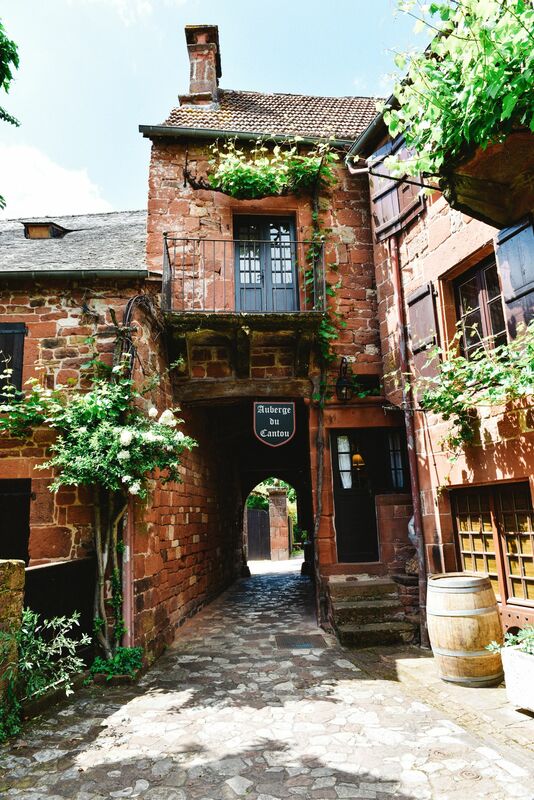 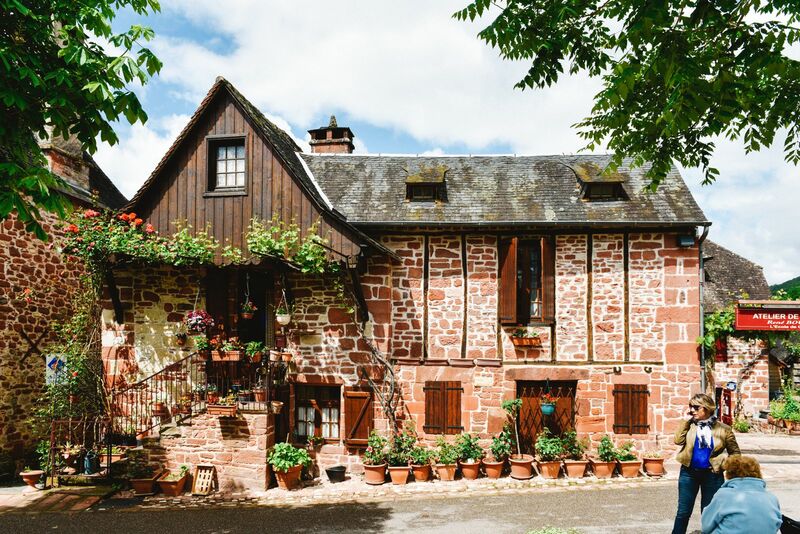 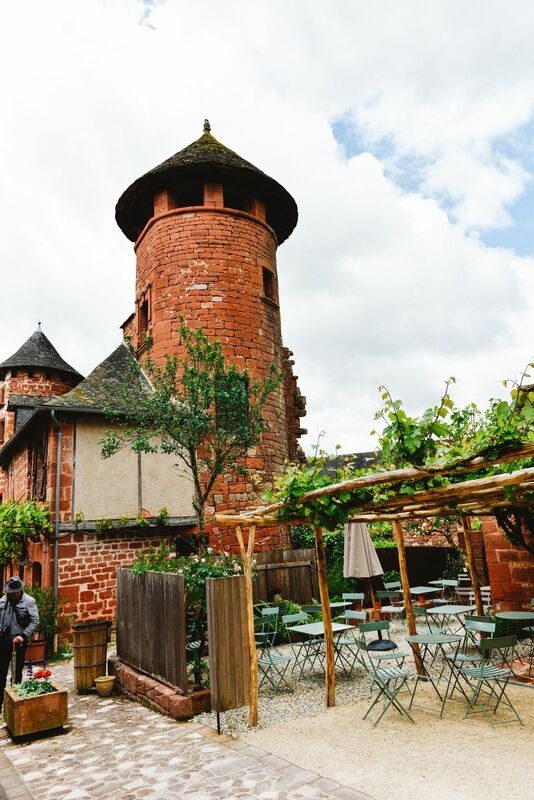 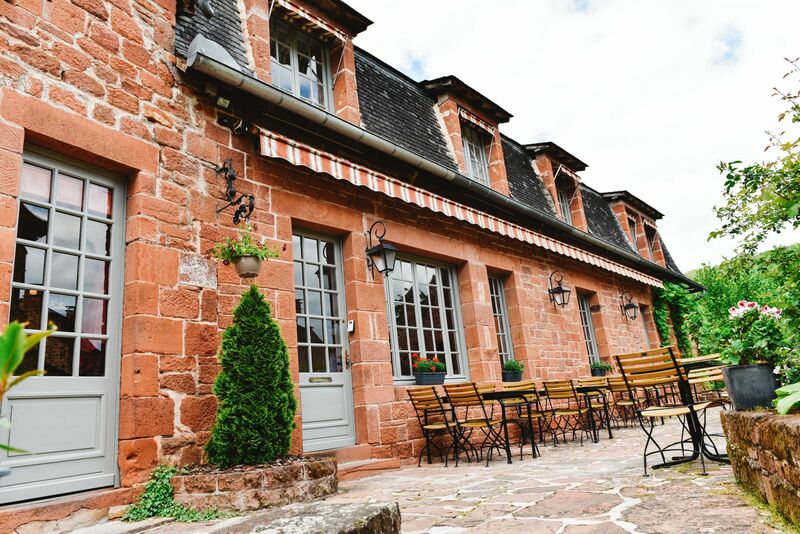 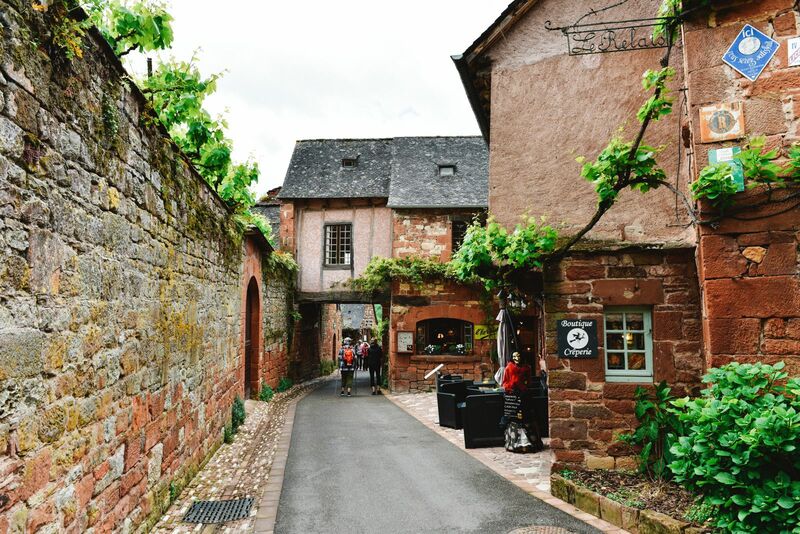 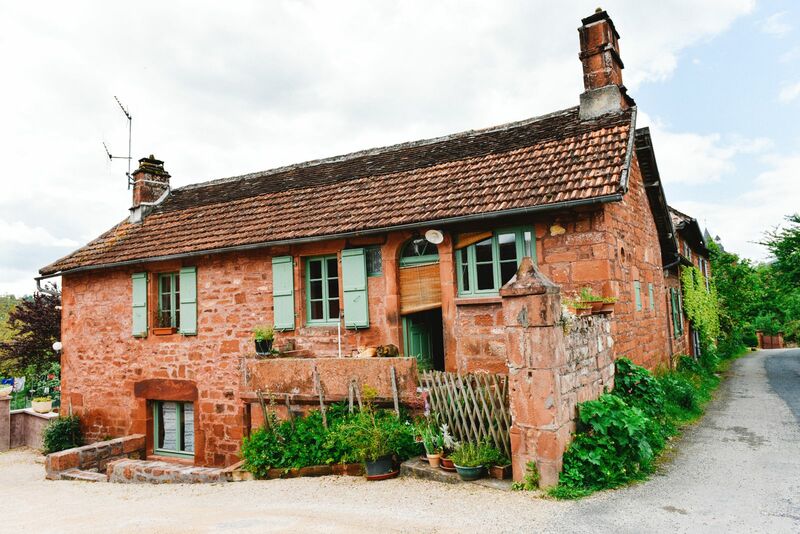 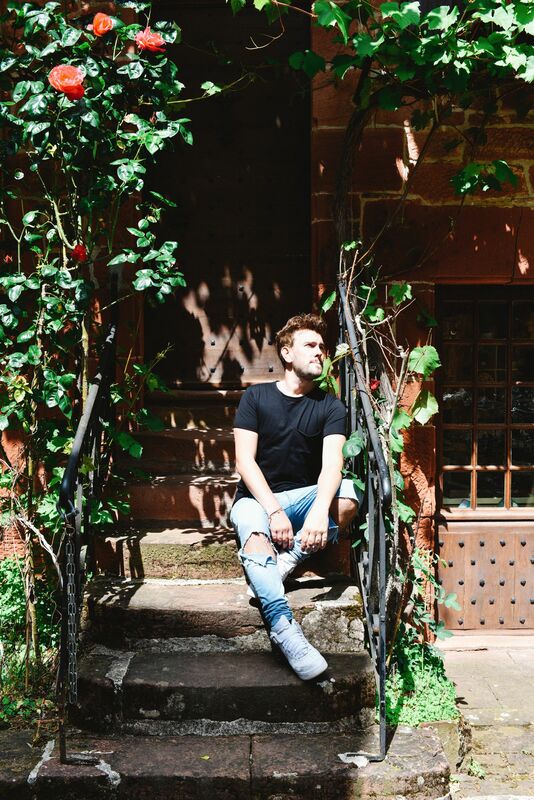 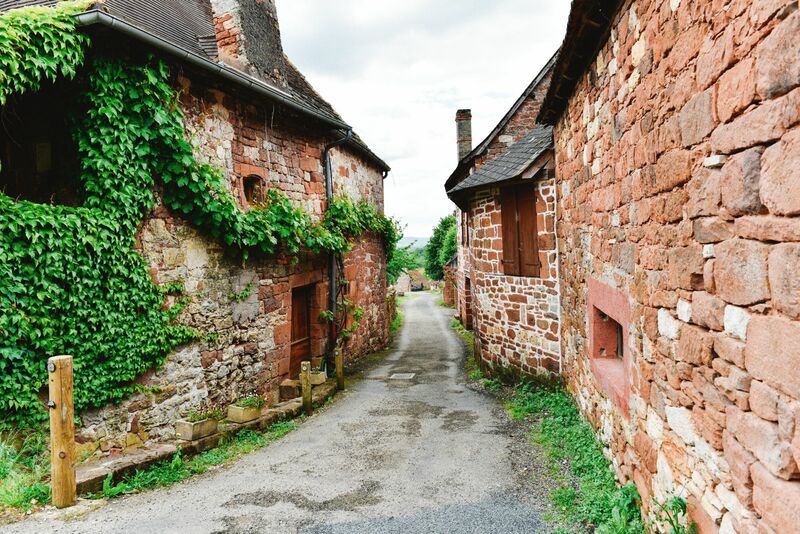 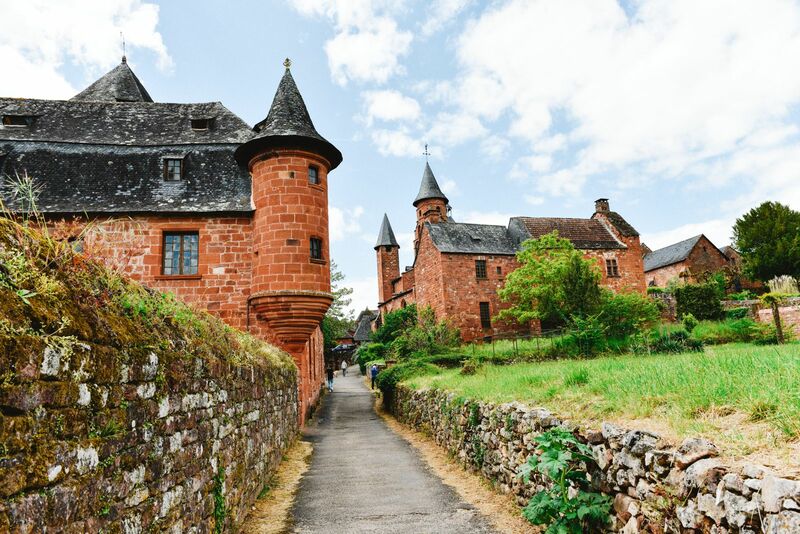 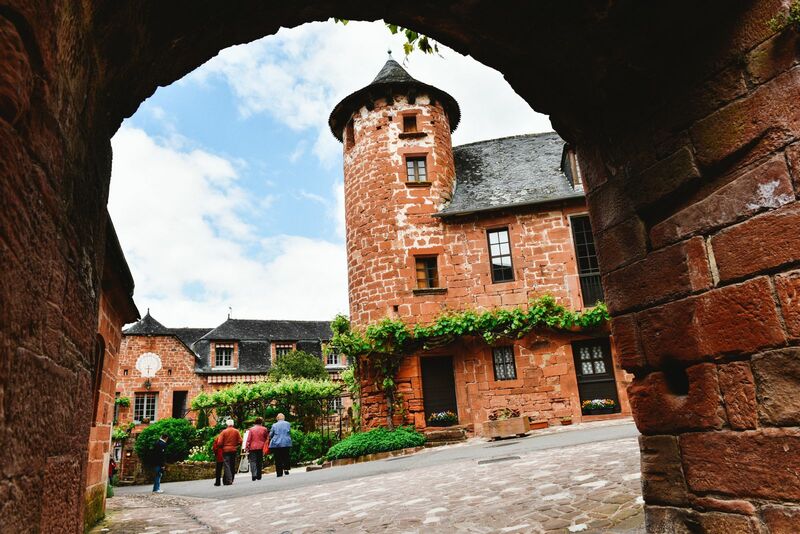 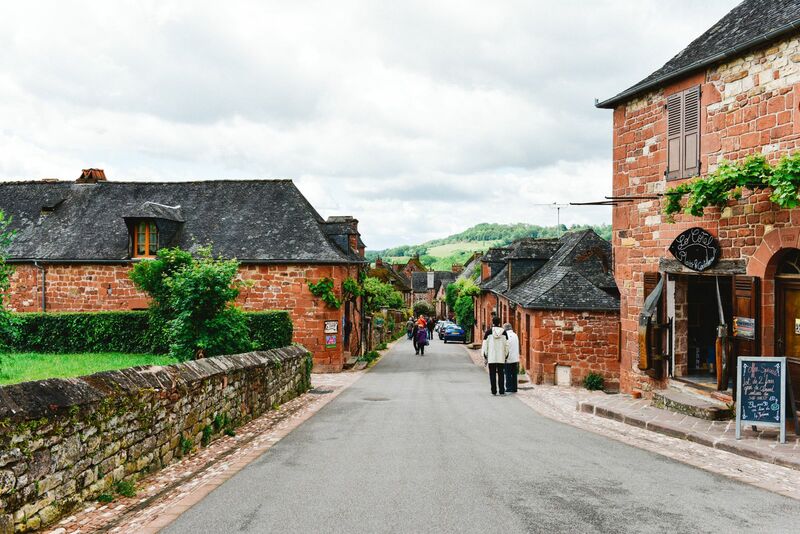 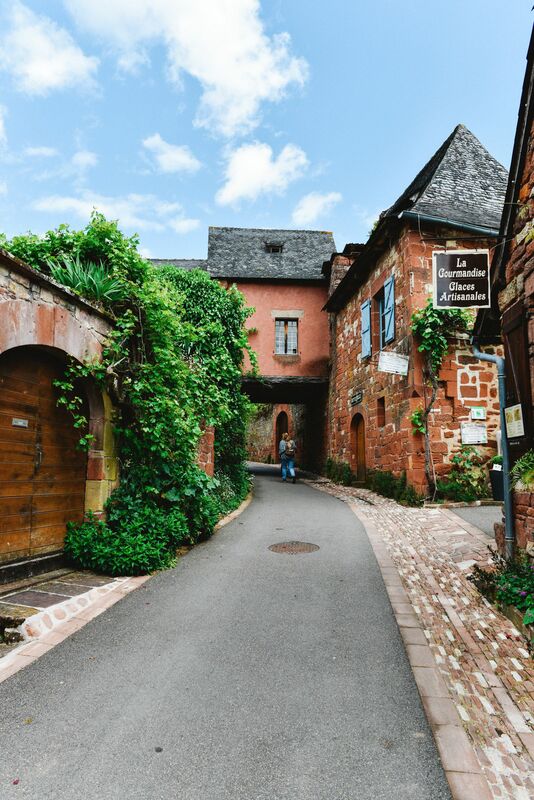 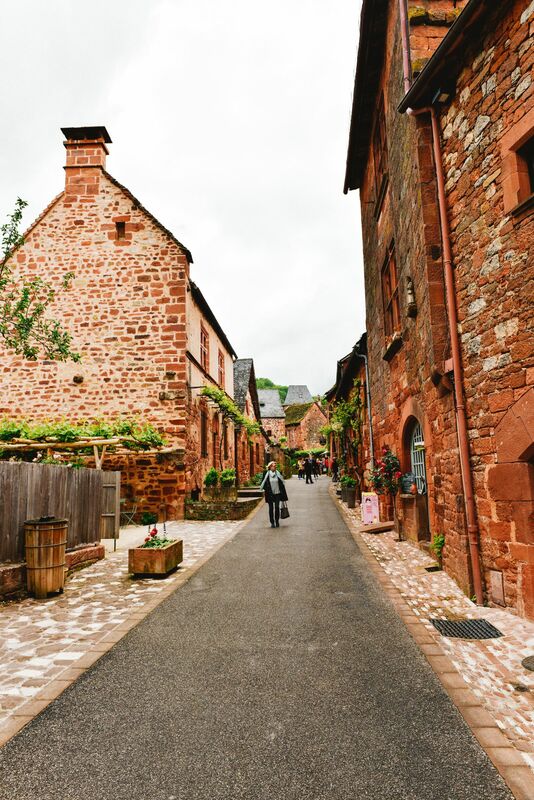 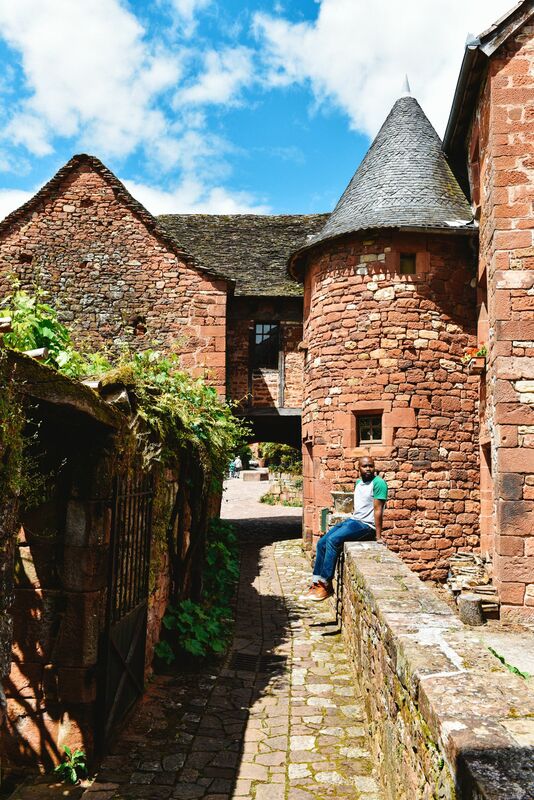 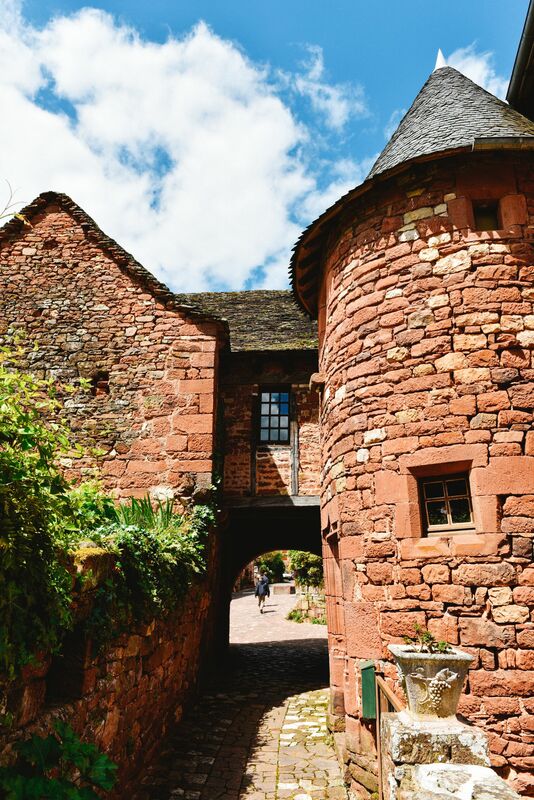 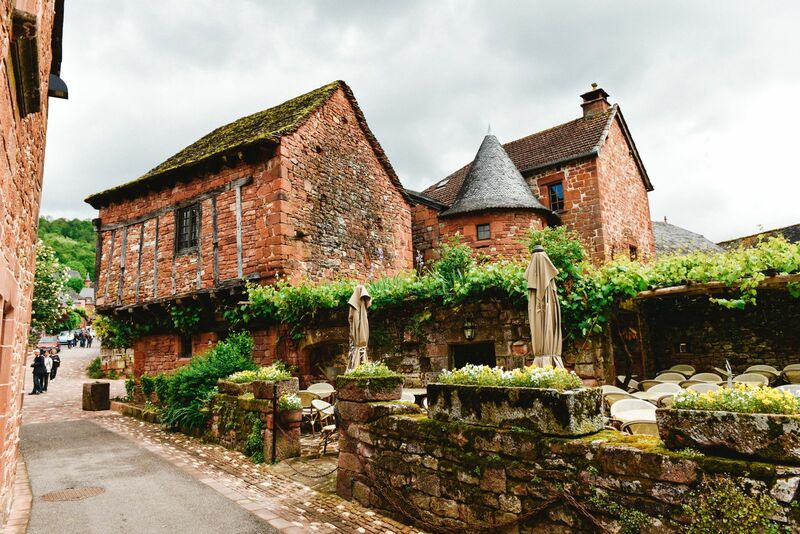 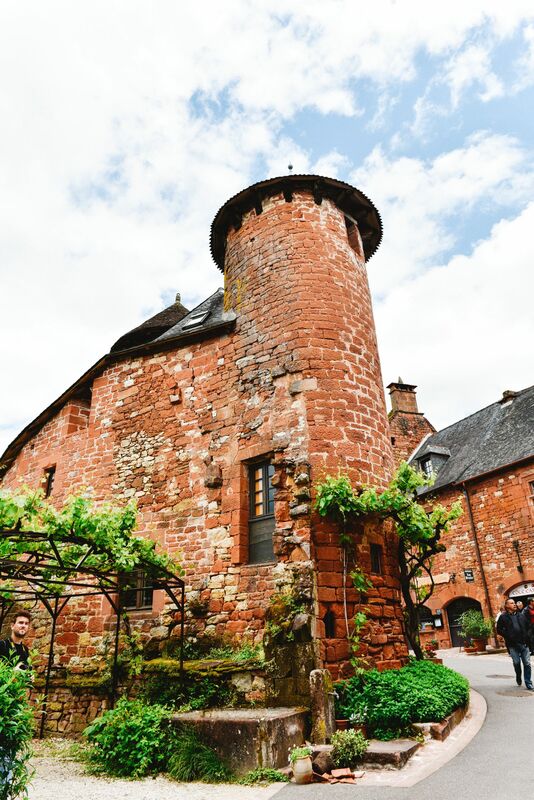 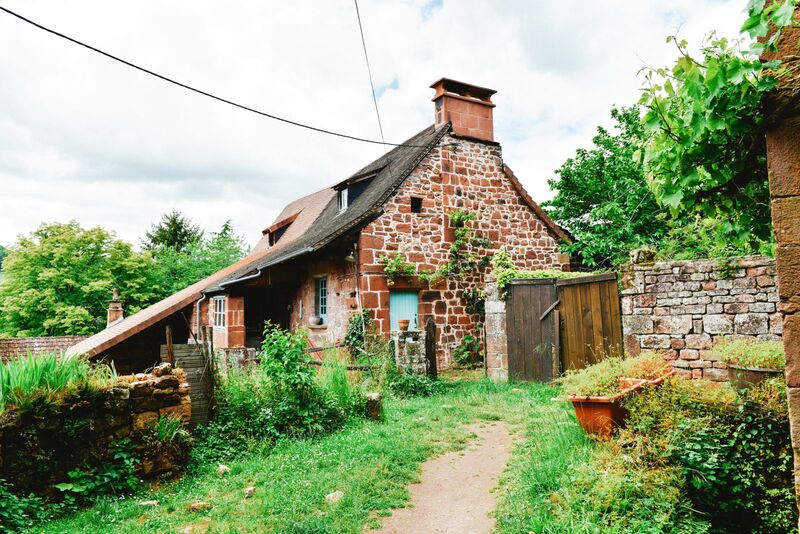 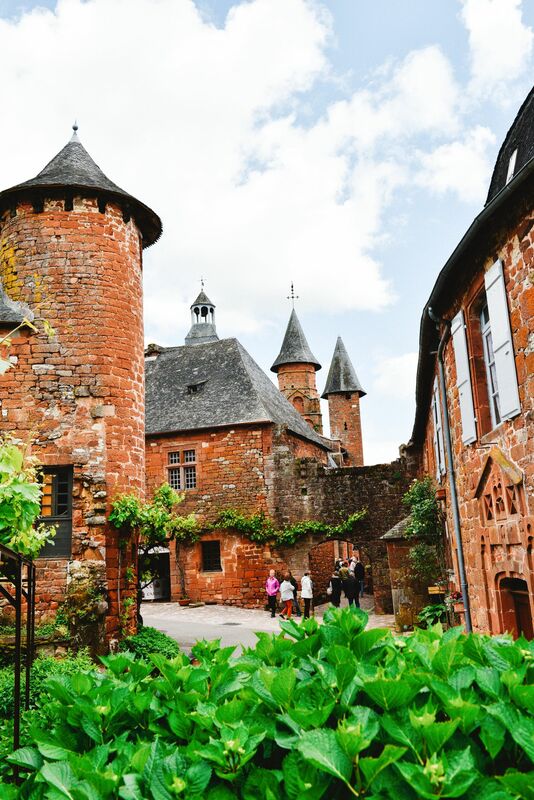 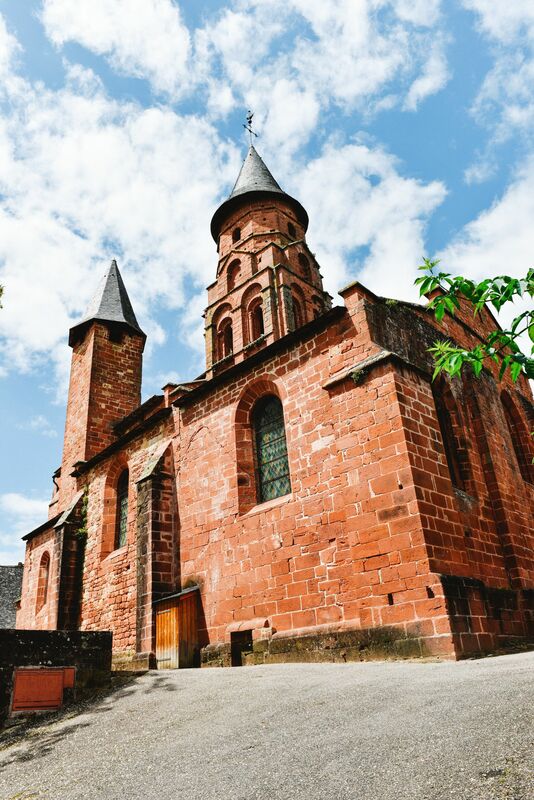 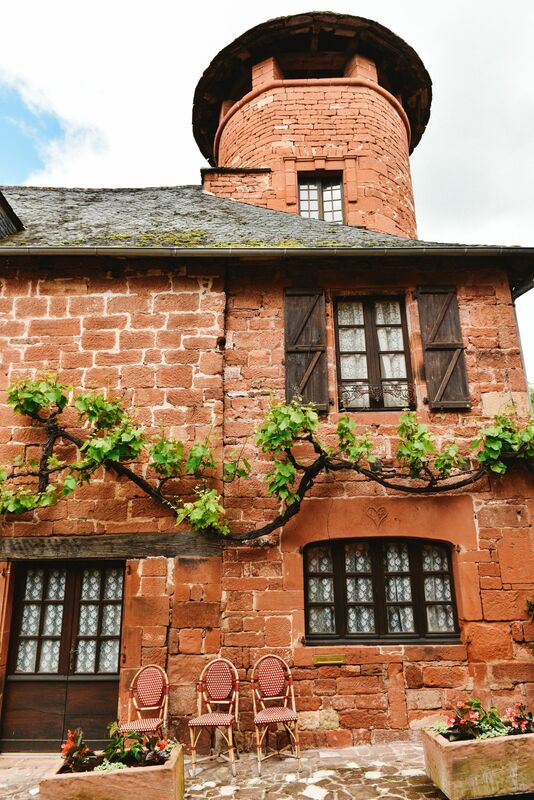 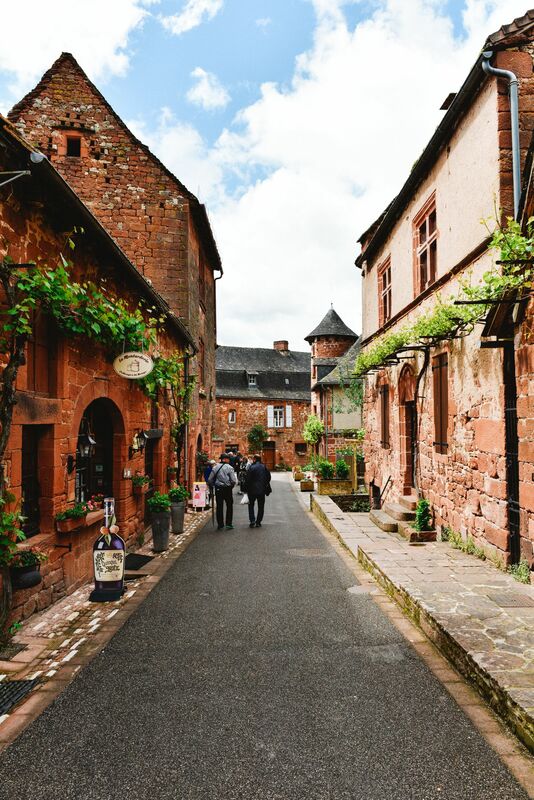 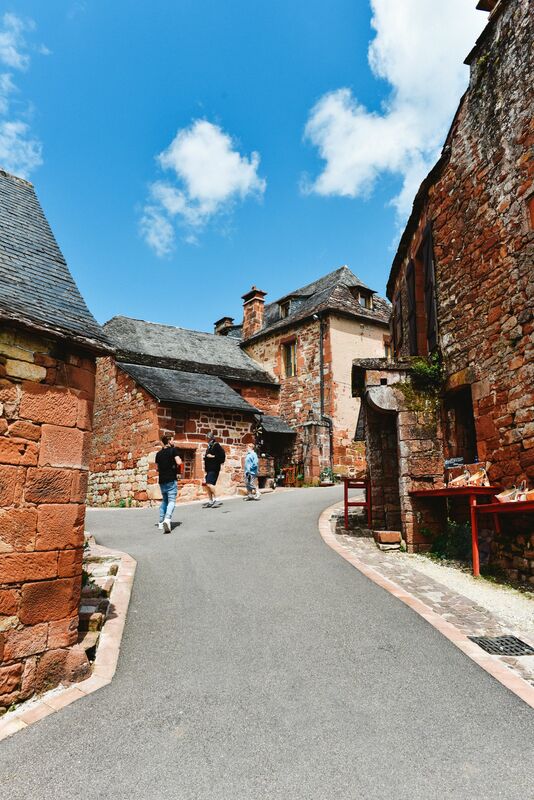 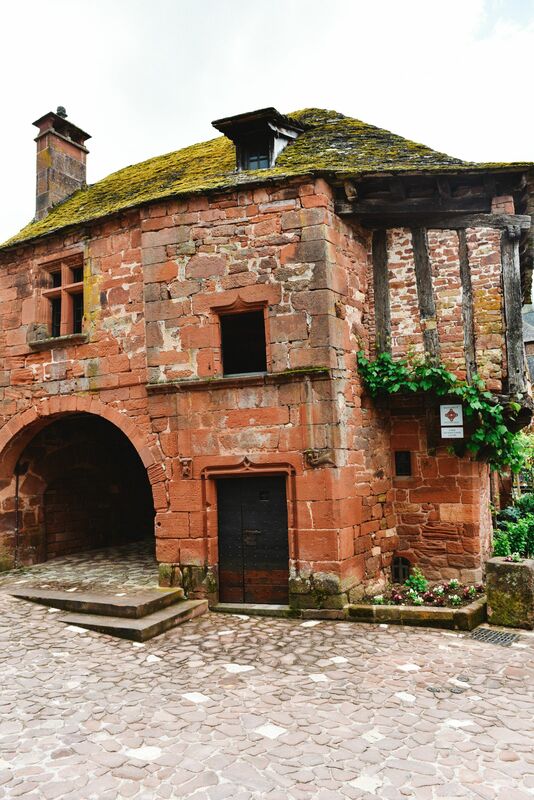 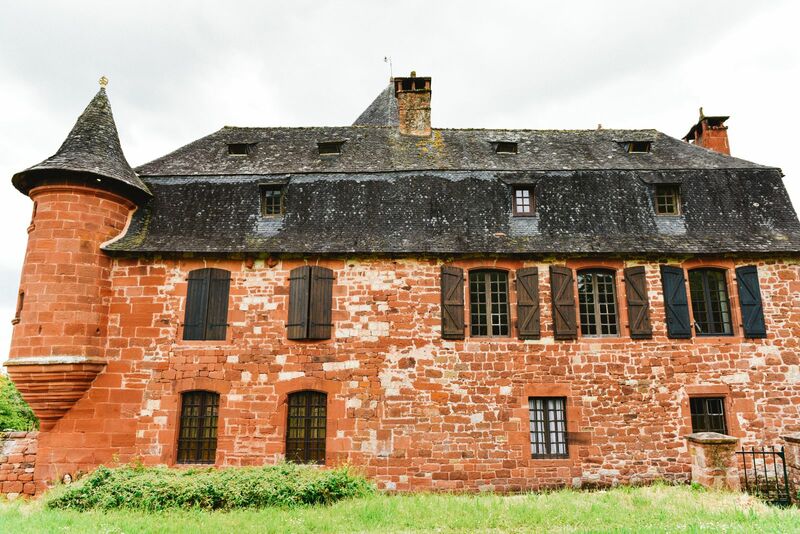 The red village of Collonges La Rouge has already been awards the title of one of the most beautiful villages in France, it is regarded by many as ‘the prettiest’ and is looking to officially cement that with recognition from the French authorities. 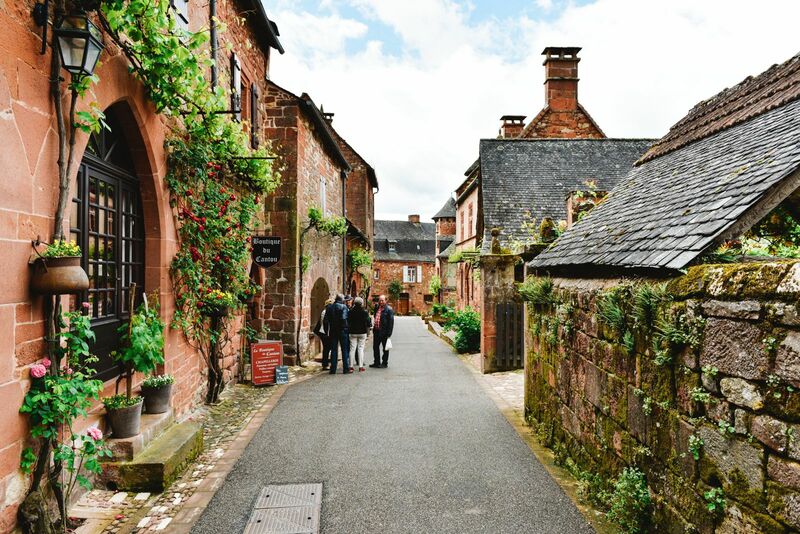 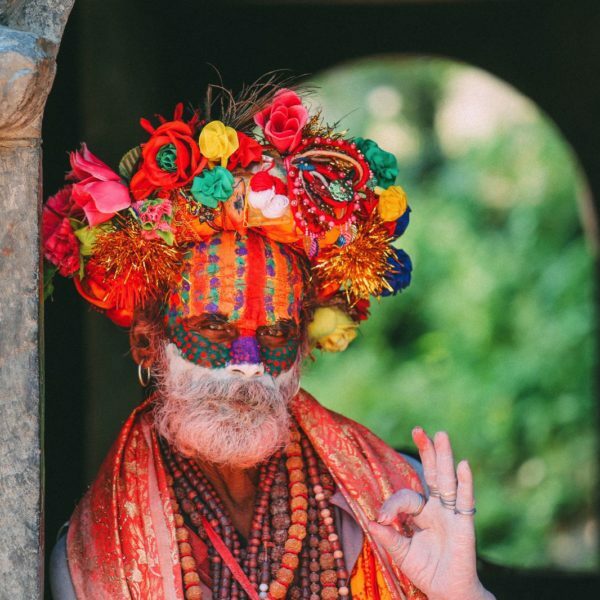 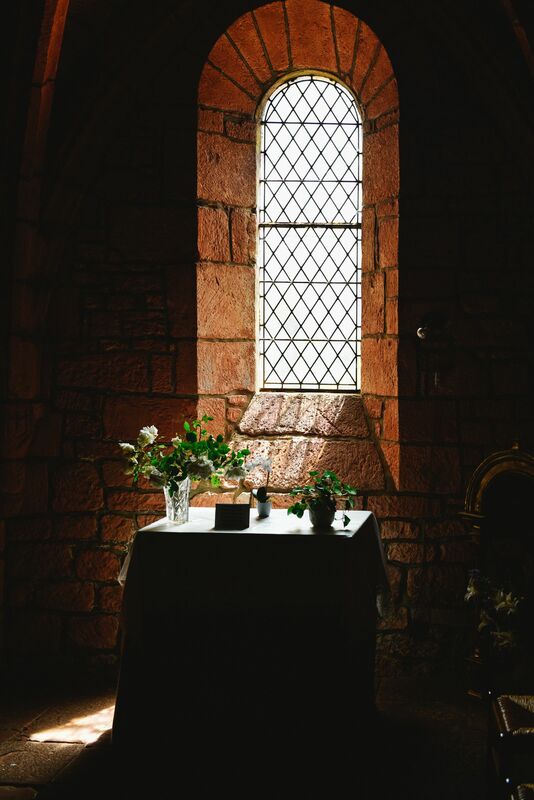 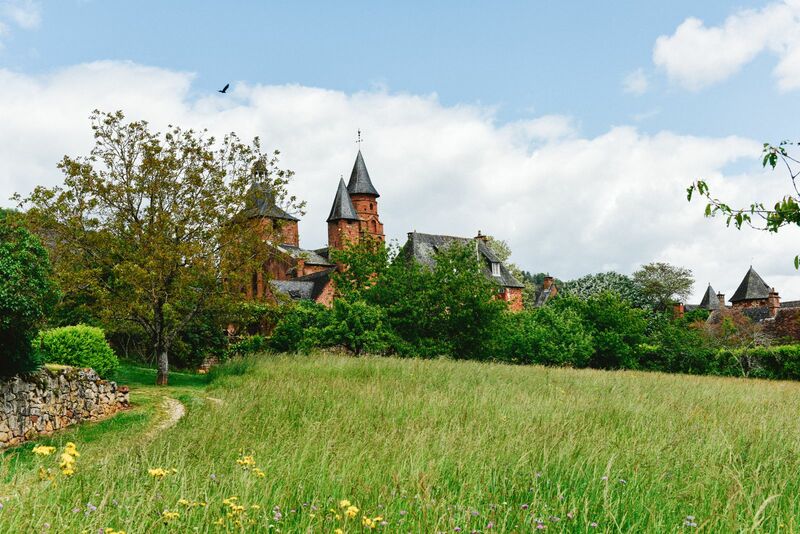 The title of this post is entirely rooted in fact – a fact that becomes even more apparent once you visit the village! 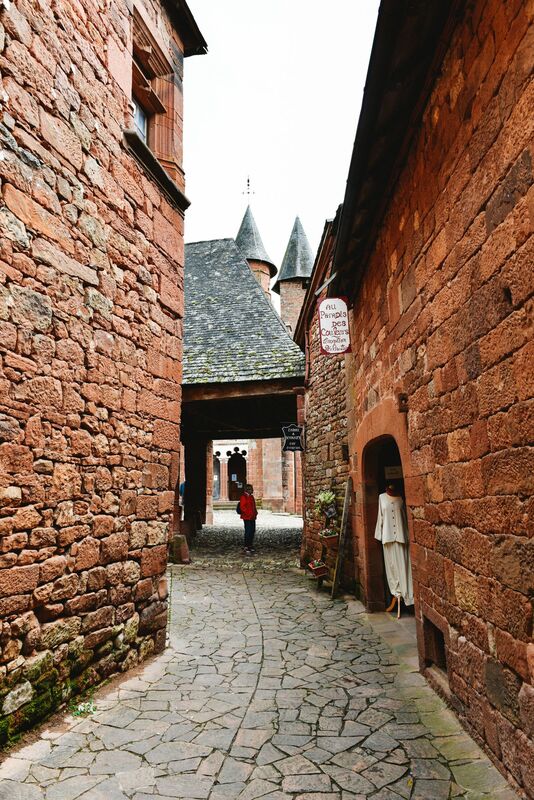 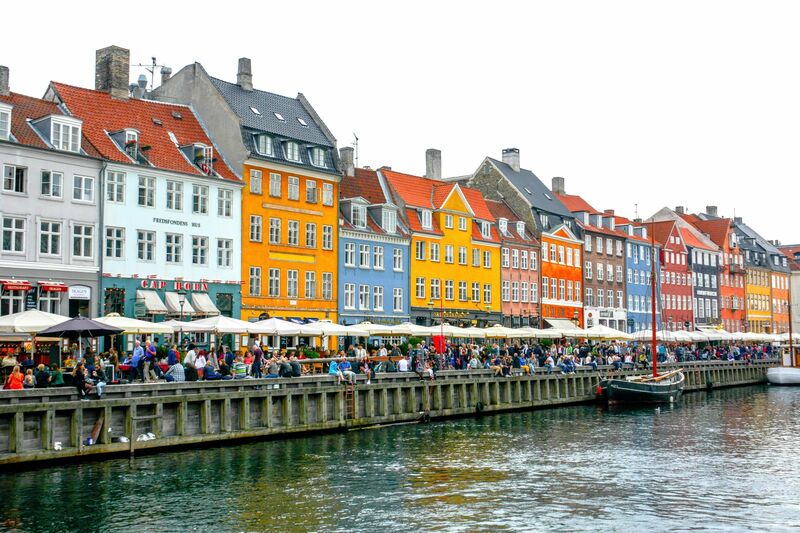 As soon as you step in it becomes quite clear why the village has its name (at least the ‘rouges‘ part in its name which translates to ‘red‘) – every building here is red! 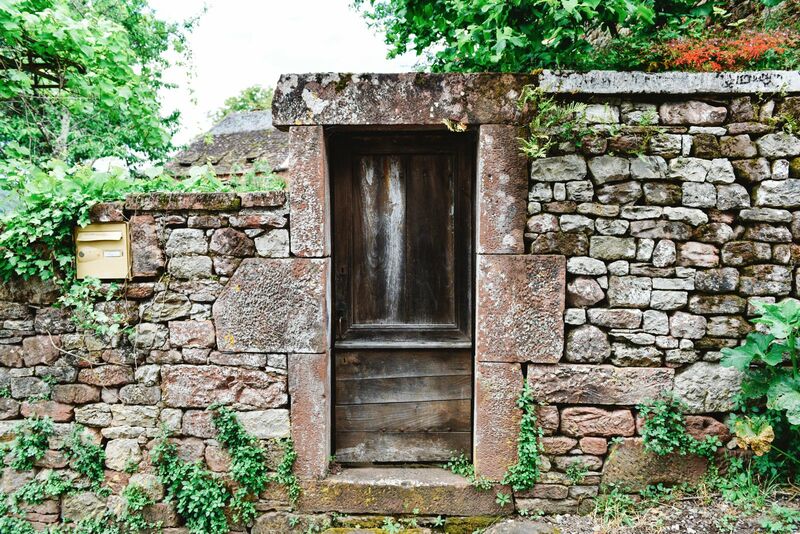 Stepping in here is like stepping into a place that time has forgotten and it’s absolutely amazing! 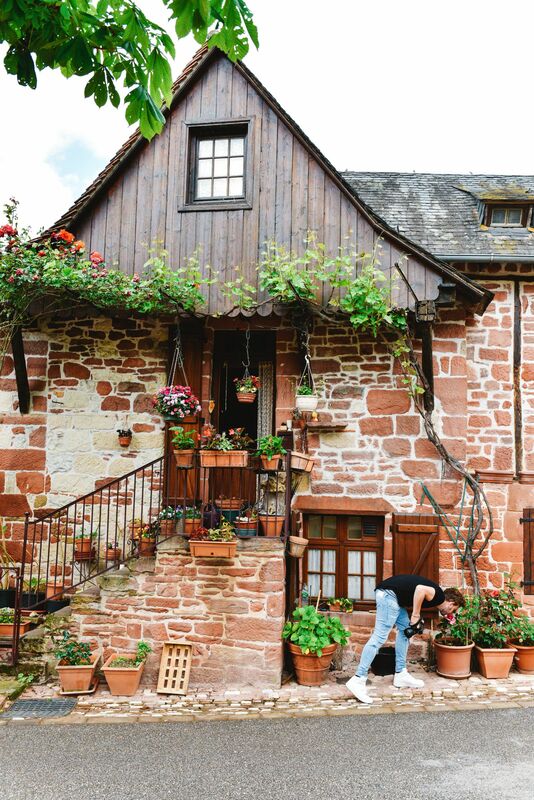 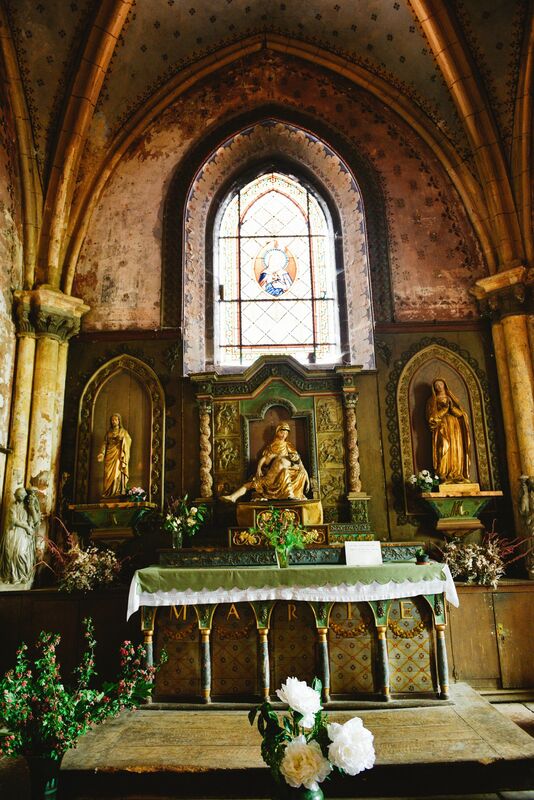 It’s like something out of a French fairy tale. 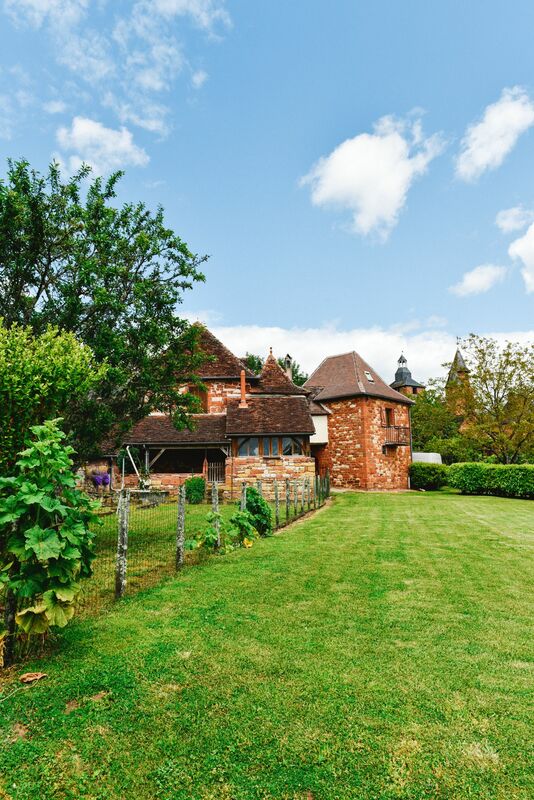 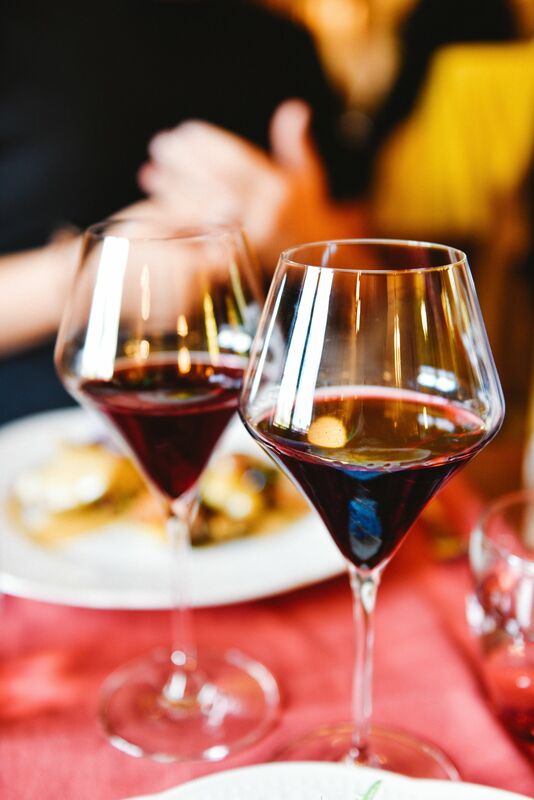 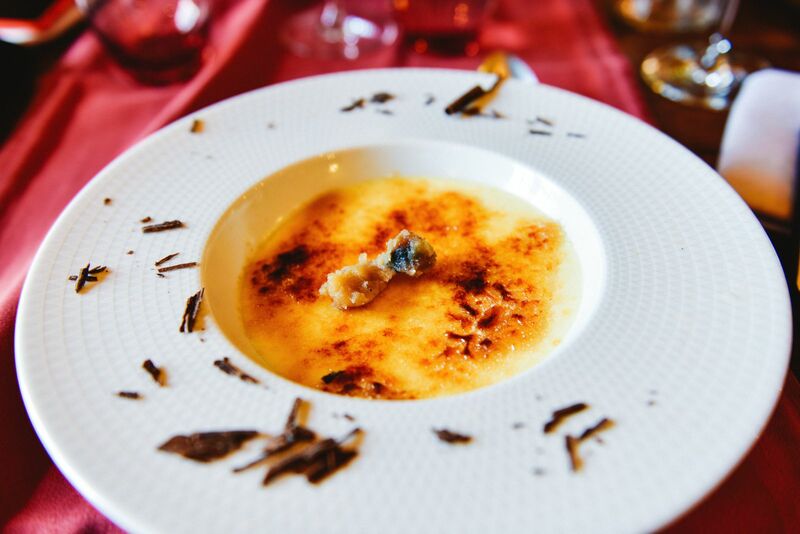 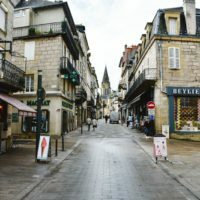 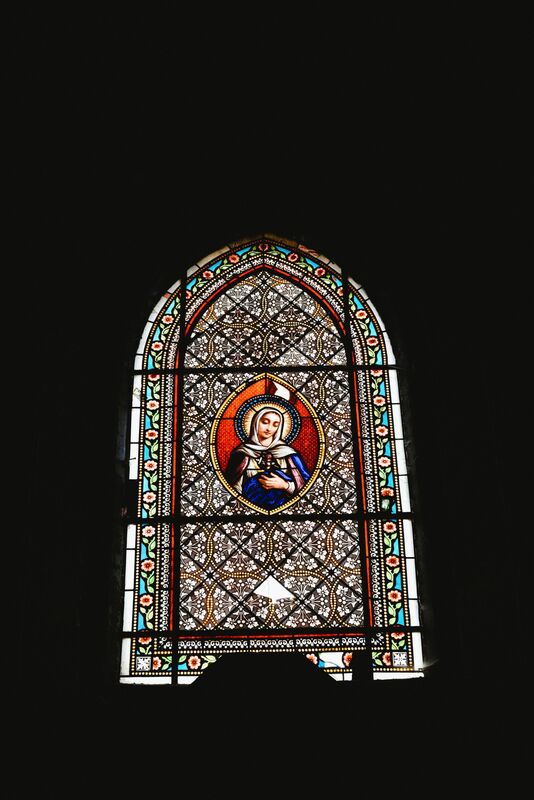 I’ve long since harboured a dream of moving to a French village for months on end and learning French by speaking to the locals while writing blog posts fuelled by copious amounts of pastries from the local patisseries and wine from the nearby vineyards. 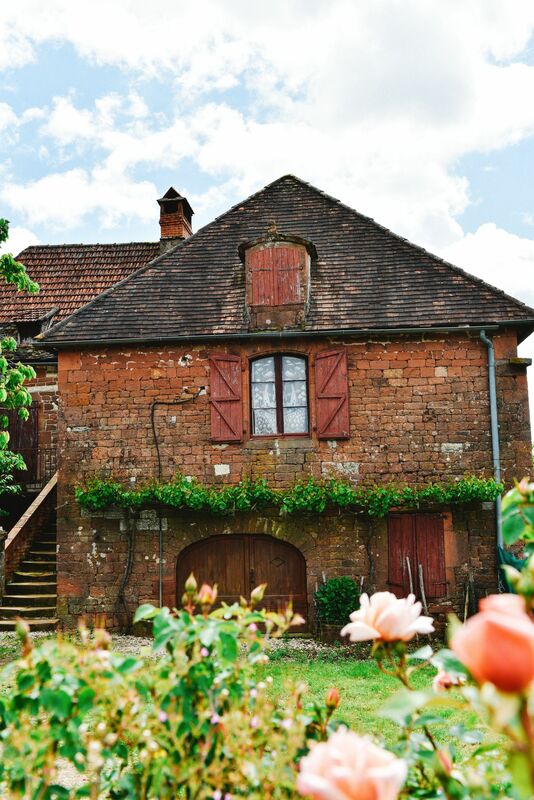 This trip to the Dordogne valley is the first time I’ve ever actually believe a place like this truly exists outside of my own imagination. 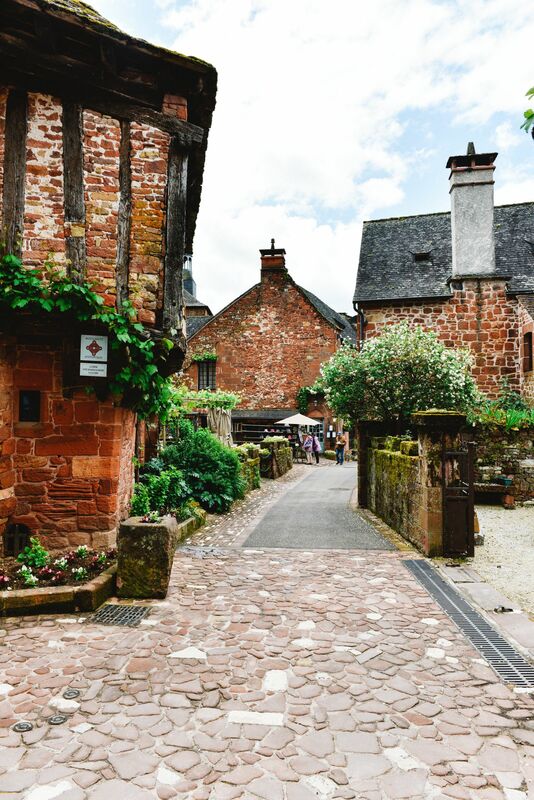 The houses are higgedly-piggedly and all I could think while walking through the streets was ” This is actually someone’s home! 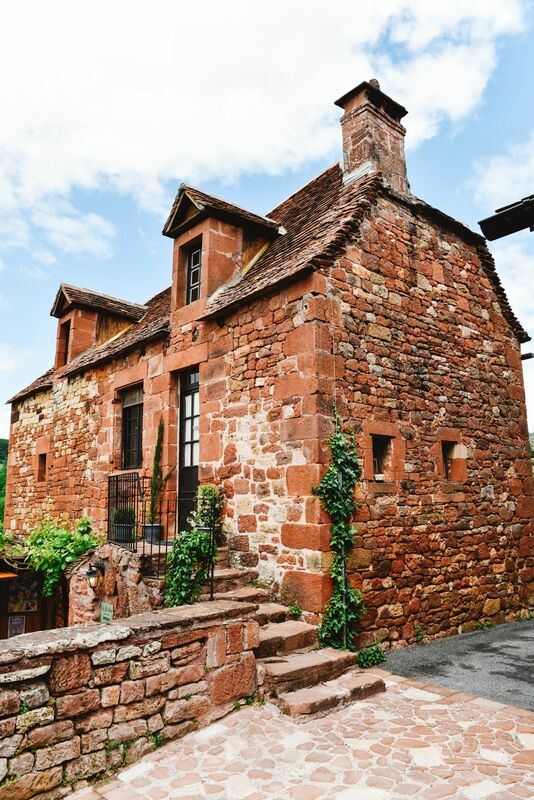 Someone gets to live here!”. 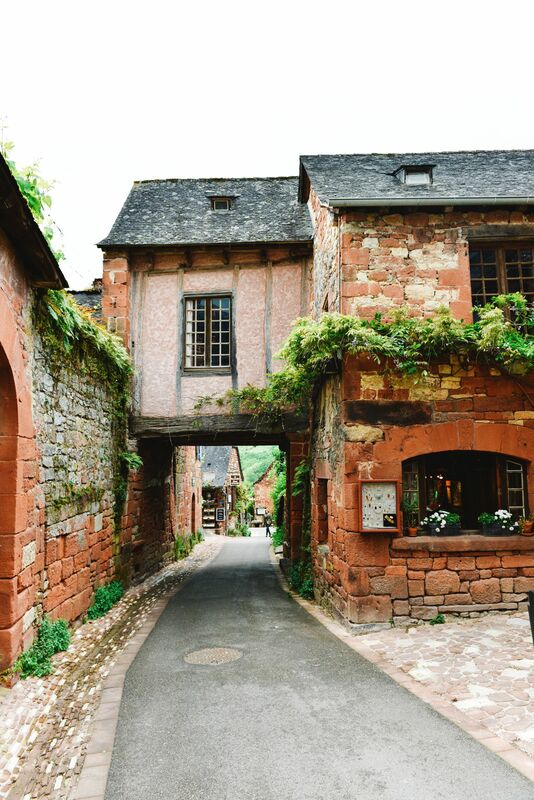 … and even cuter little restaurants. 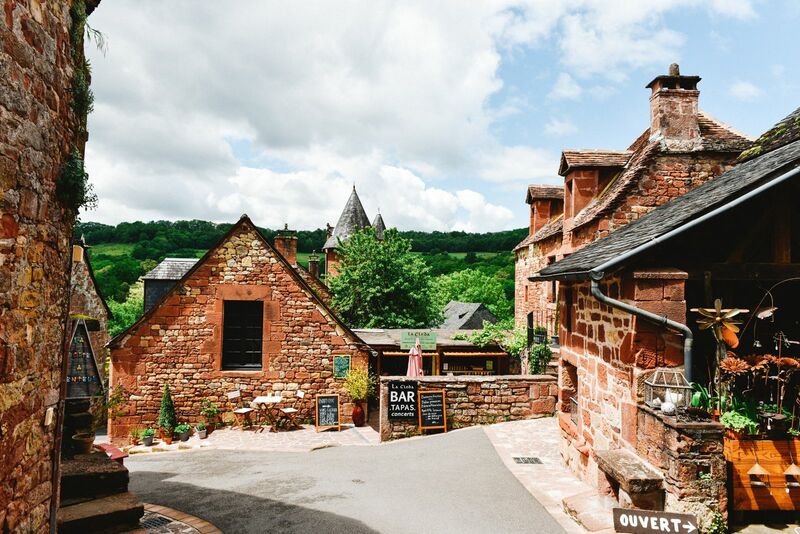 Our first port of call here was a little lunchtime cocktail session at Terres Rouge but its safe to say I was far too distracted by the village to pay attention to where everyone else had headed off to. 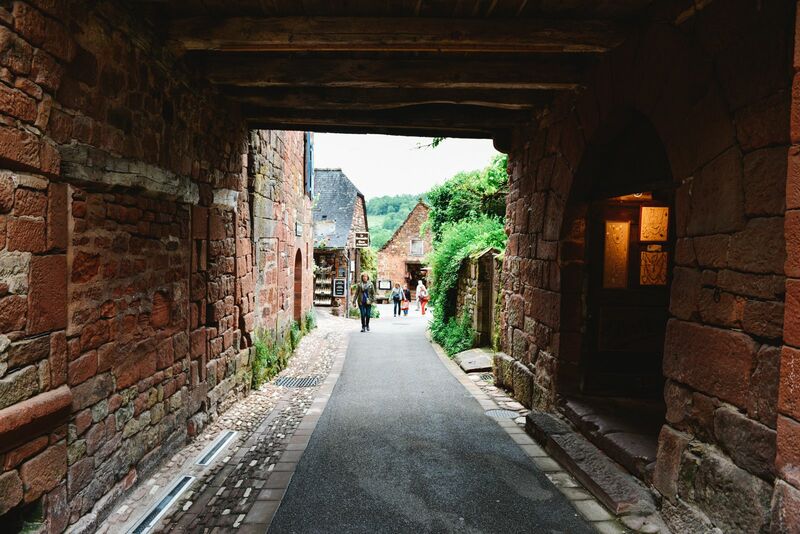 It wasn’t till I was about 3 streets away that I realised I’d lost everyone else. 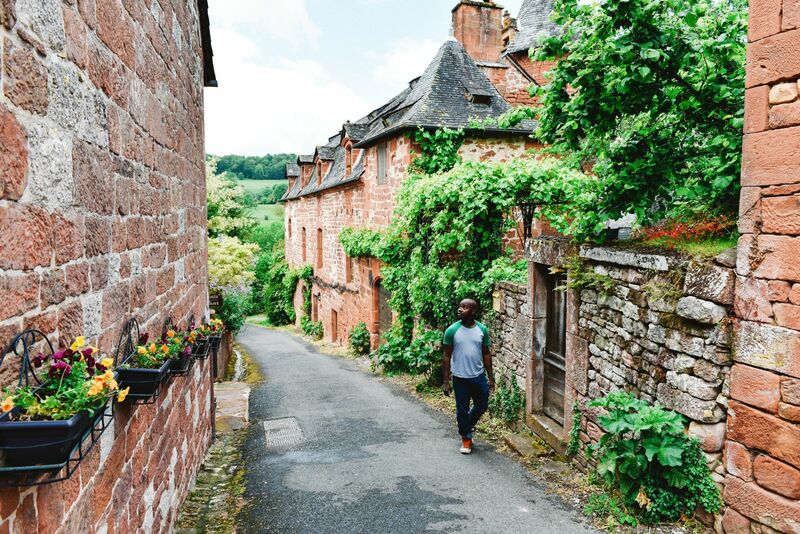 Don’t tell them but this suited me just fine as I loved making my way around this beautiful little village and discovering little secrets as I wandered through. 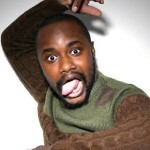 If fingers could get ‘lockjaw’, mine probably would have from the amount of photos I’d been taking. 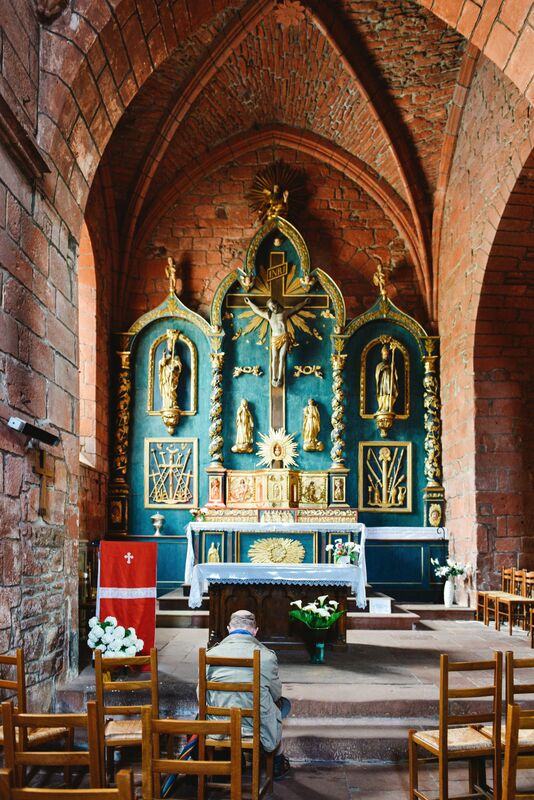 Selecting my favourites was an even harder task as its so pretty every corner you turn. 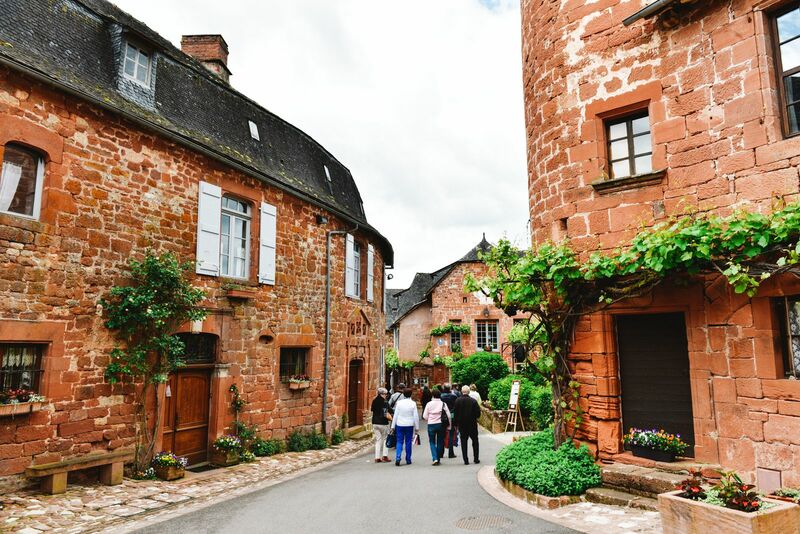 Eventually, I found the others – as it turns out, I wasn’t the only one distracted by the lovely village and the others had all ended up venturing down different streets so we all ended up late for cocktails. 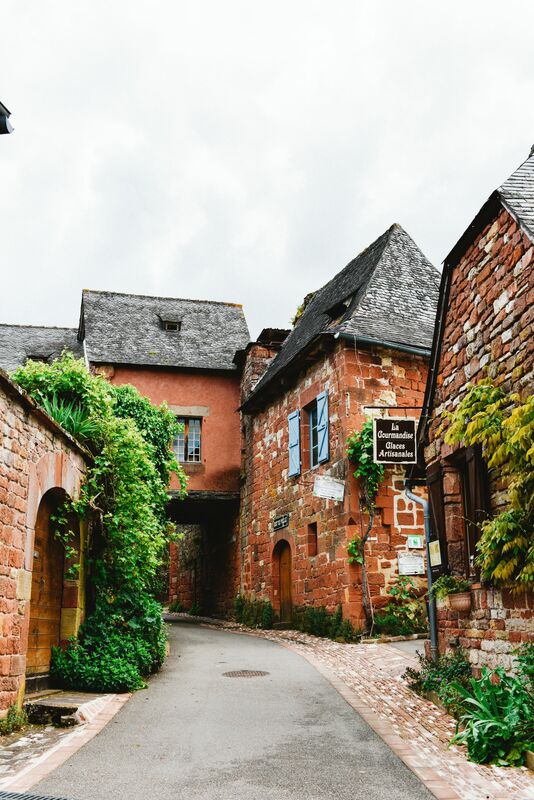 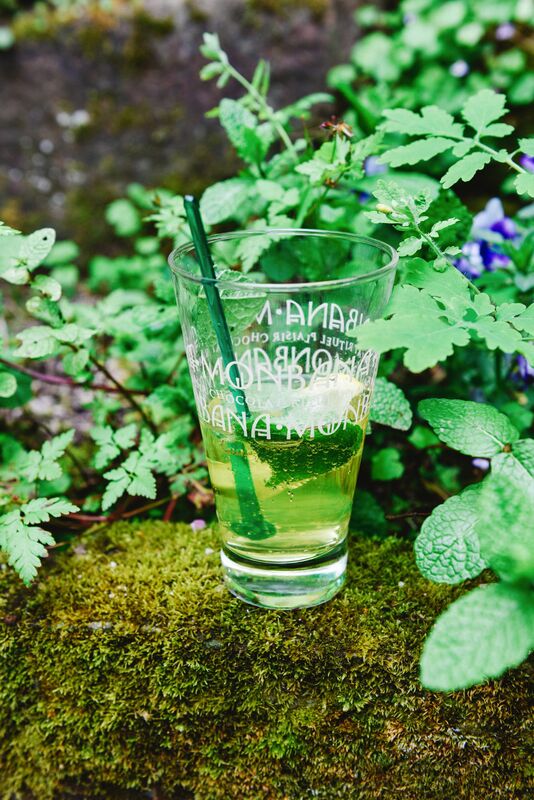 I may or may not have downed my cocktails quickly so I could get on with seeing the village… Let’s take a little walk through it together on the way to lunch shall we? 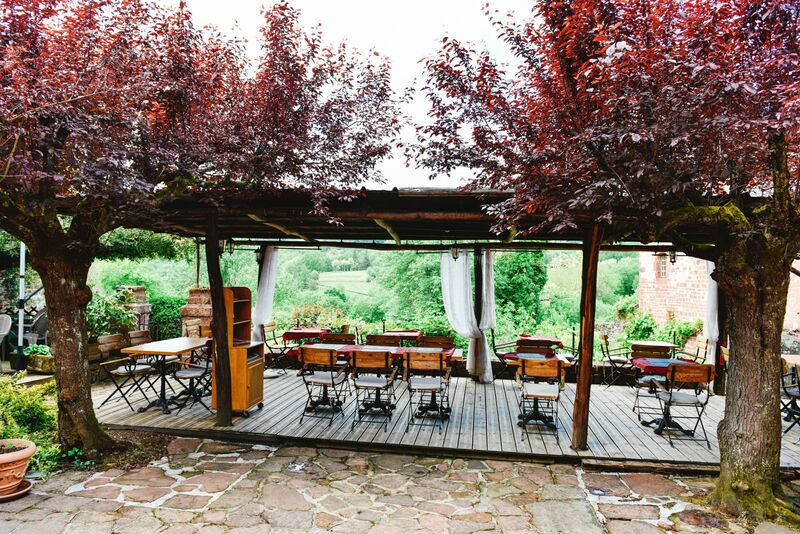 Lunch was at Auberge de Benges, a nice little restaurant with a great view of the surrounding valley and countryside. 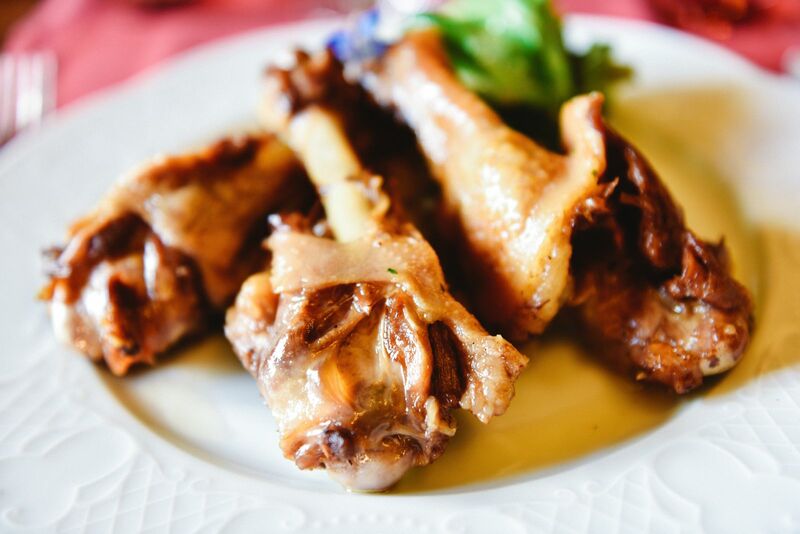 … canard (duck) which tastes so much better than it looks! 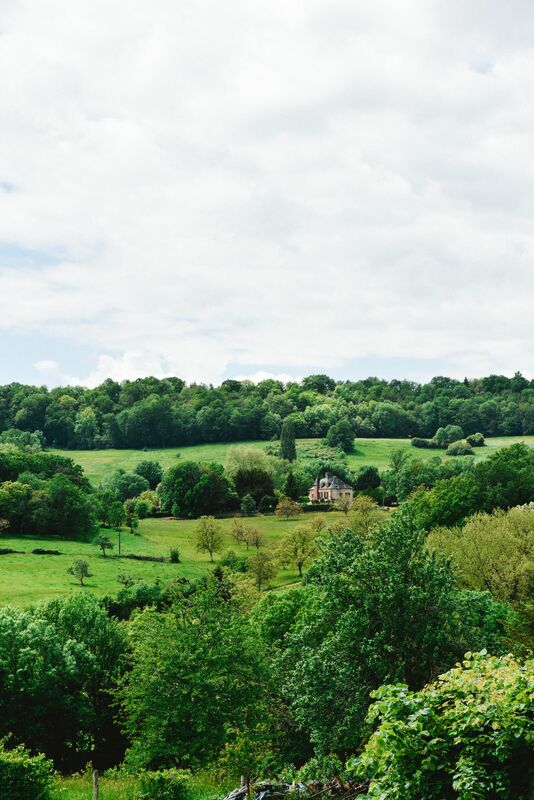 Fuelled by lunch, I decided to make the most of my new found energy before the usual post lunch slow-down happened. 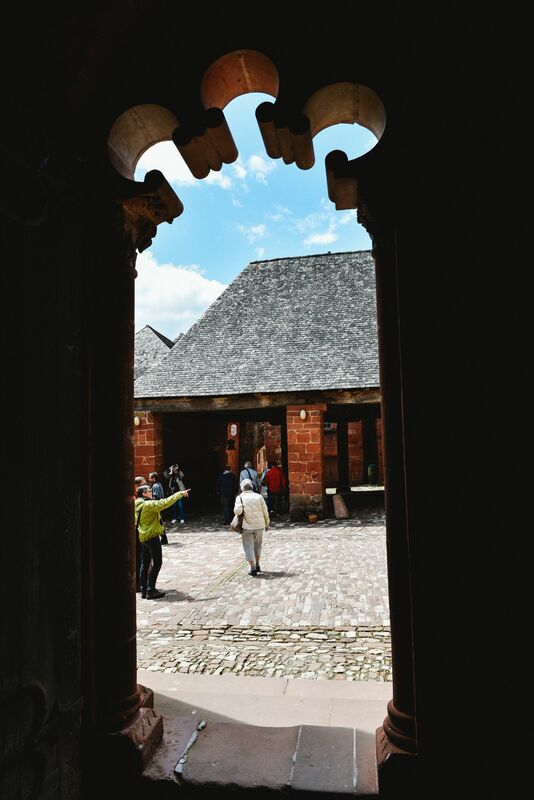 Thankfully, the weather had picked up considerably too and the sun was out to play! 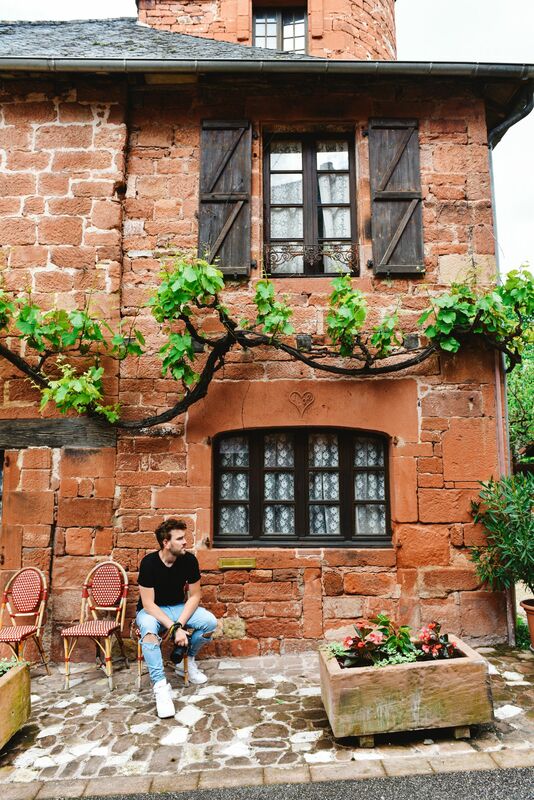 I could go on and on about how amazing this place is and how much I love it here but honestly, all you really need to see are the photos and you’ll probably be able to see why I love this place so much! 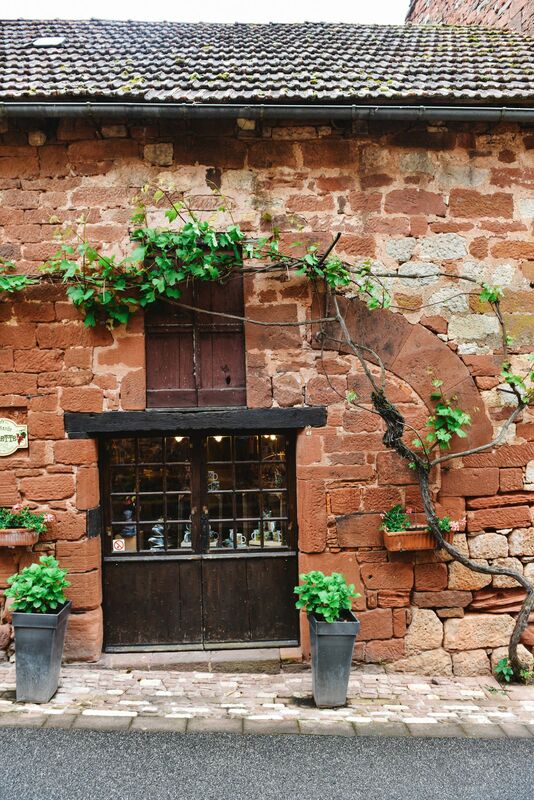 I would happily spend many-a-summer day here! 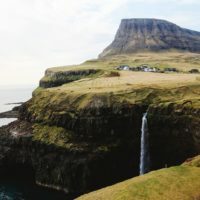 Eventually, it was time to leave and I did my very best to drag this out for as long as possible. 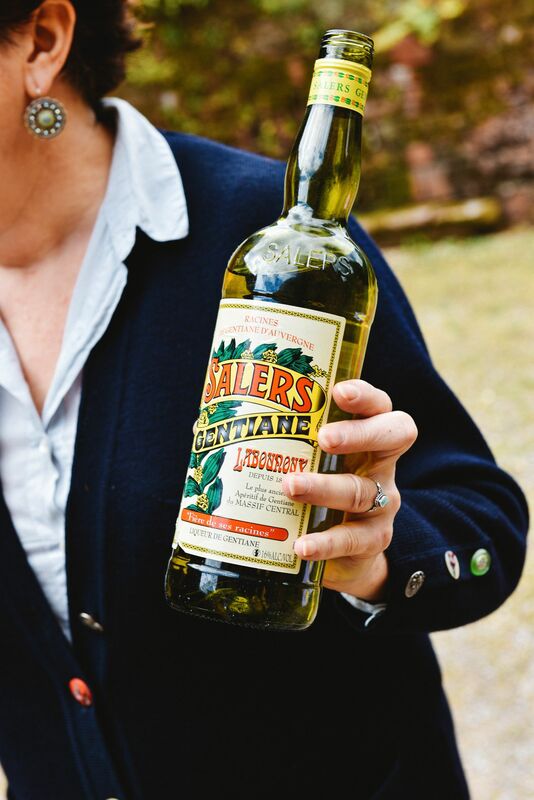 I’d apologise but I blame the town and the sunshine, the combo was just too much to resist. 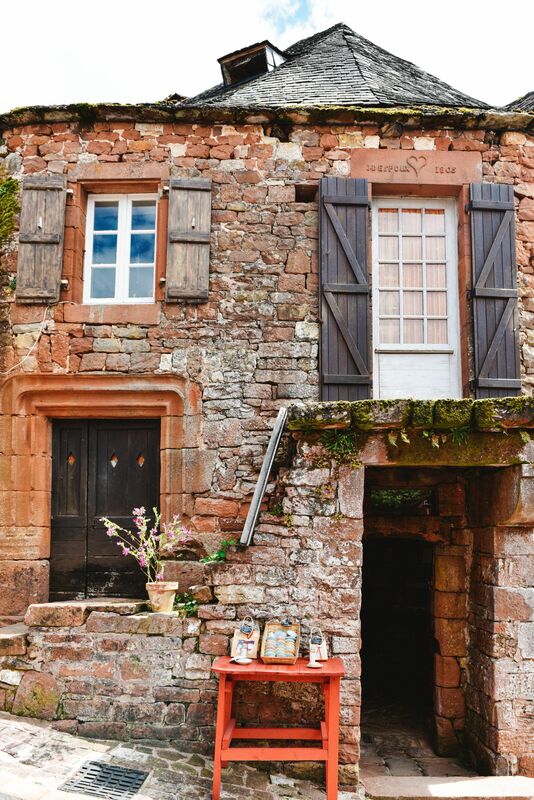 Okay, I can’t help myself and I’ve gotta ask – can you see why this is the most beautiful village in France?